In a world committed to reducing carbon emissions CCS offers a helping hand but not a definitive one. It may offer a partial answer for the rest of this century, but governments are unlikely to provide the needed funds for large-scale deployment. 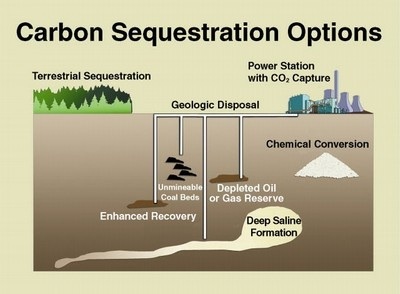 Carbon Capture and Sequestration: Is It A Viable Technology? At the recent Doha Clean Energy Forum, three speakers made a strong case for carbon capture and sequestration (CCS) as a means of addressing global warming and climate change, especially in heavily carbon emitting industries such as cement production. Considerable literature exists on CCS, exhibiting a wide range of opinions on its viability as a technology to reduce carbon dioxide emissions. The principal argument for CCS is that the world today is fueled largely by coal, oil and natural gas and that this situation is not likely to change any time soon. In fact, as many developing nations industrialize and emerge from poverty, the demand for energy increases steadily and it is argued that only fossil fuels can meet that demand in coming decades. It is also argued that while solar and wind and other renewable energy technologies can eventually replace electricity from coal and natural gas power plants this will not occur quickly and people will need fossil energy during the long transition. In addition, some industries like steel and cement are not so easily ‘fixed’ and will continue to use fossil fuels in increasing amounts as global industrialization grows. CCS is expensive, whether added to an existing power plant or industrial carbon dioxide source, or included in newly constructed facilities. The energy penalty for operating CCS is also high, requiring a fair amount of parasitic energy that reduces efficiency and revenues. When operating, CCS systems require large amounts of water. captured carbon dioxide must be liquified and stored for indefinite periods of time in such a way as to avoid leakage and large ‘burps’ that can be toxic. This requires identification and development of storage sites (depleted oil and gas wells, coal mines, underground aquifers), infrastructure to transport liquid CO2, adds additional costs and raises questions of liability if something goes wrong and stored CO2 is accidentally released. the time required for development, demonstration and large-scale deployment of CCS technology that can have a meaningful impact on global warming is too long compared to other options. 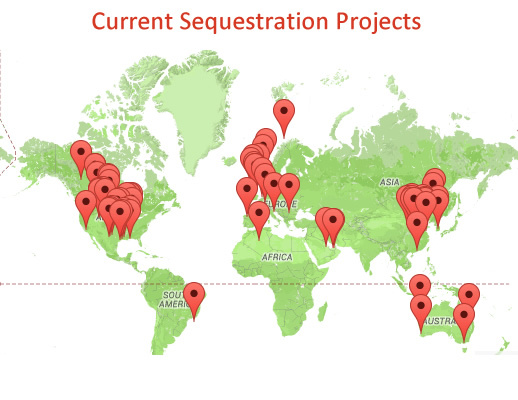 Proponents of CCS (see http://www.globalccsinstitute.com) argue that CCS costs can be brought down significantly with a sufficient number of demonstration projects and economies of scale associated with large-scale deployment. Nevertheless, at the recent Doha Clean Energy Forum even one of its supporters admitted that the costs for an impactful global CCS system will cost an estimated 3.6 trillion USD (and I did say trillion). My immediate reaction was that for $3.6 trillion I can deliver an awful lot of renewable energy that will replace coal, oil, and natural gas use in power generation and transportation. Nevertheless, there is the argument that the CO2 emissions from some industries will still be there in large and growing amounts even with large-scale deployment of renewables and CCS is the only way to limit these emissions. These are strong arguments for some attention to CCS R&D and demonstration, but, in my view, not at the expense of rapid development and deployment of renewables. This creates a conundrum as CCS demonstrations are expensive, and the money for them would have to come from somewhere. Government funding is at best problematic in current budget situations. Other possibilities are the fossil fuel industries themselves, which have a vested interest in continued purchase of their commodities. Countries with large reserves of fossil fuels – e.g., the U.S., with large reserves of coal – will also see value in CCS allowing extended use of secure domestic energy reserves. In a world committed to reducing carbon emissions CCS offers a helping hand but not a definitive one. It may offer a partial answer for the rest of this century, but governments are unlikely to provide the needed funds for large-scale deployment. Let’s see if the private fossil fuel sector is willing to step up to protect its vested interests. Trained in engineering and physics at Cornell University, ! worked as a research intern/physicist at IBM, Los Alamos National Laboratory, and Texas Instruments before obtaining my Ph.D in solid state (now condensed matter) physics at Brown University in 1967. After a post-doctorate at Brown I joined the Physics and Astronomy Department at the University of Massachusetts/Amherst as a faculty member in 1968. One year later I became close friends with a new faculty member, Dr. David Inglis, who had been part of the atomic bomb project at Los Alamos during WWII. He subsequently served as a senior scientist at Argonne National Laboratory from which he retired in 1969. David introduced me to the subjects of arms control and energy and changed my life. Without going into details, I rapidly became interested in issues related to nuclear energy (New England was just entering into a public debate about nuclear power at that time) and other forms of energy, and started teaching and debating these issues in 1970. Finally, in 1974 I put my research career in low temperature solid state physics on hold by successfully applying for an American Physical Society Congressional Fellowship. Arriving in Washington, DC several months after the start of the Arab Oil Embargo and two weeks after President Nixon resigned, I chose a fellowship-year assignment as Staff Scientist with the US Senate Committee on Commerce and Transportation (subsequently to be relabeled the Committee on Commerce, Science, and Transportation), hoping to have a broad exposure to how Congress dealt with energy and other science and technology issues. This assignment changed my career path as I have spent the years since 1974 in Washington, DC in various policy and management positions.